The Women’s Expo – Let’s Get Together and Have Some Fun! We’re very excited about the upcoming women’s expos and hope you have already registered to attend. A great day has been planned so you and your family and friends have an amazing experience! We are thrilled that so many businesses will be participating. Whether you’re looking for information about redecorating, health and wellness, home improvements, nutrition, beauty, finances, housing, or caregiving, you will find it at the women’s expo. Many vendors will be selling unique items that will make great holiday gifts, or you can just treat yourself. 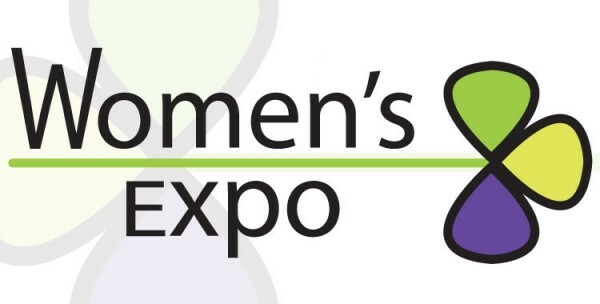 This month, the third annual women’s expo for the Lebanon County area will be held from 9 a.m. to 2 p.m. on Oct. 3 at the Lebanon Expo Center, 80 Rocherty Road, Lebanon, just east off Route 72. We are delighted to have Good Samaritan Hospital, now part of WellSpan Health, once again as our event partner. The Lebanon County community must be very pleased about this new affiliation, which will enhance the outstanding care that patients and families have been receiving from Good Samaritan Hospital all along. Good Samaritan Hospital will be presenting two health seminars; be sure to stop by center stage and become informed. Their da Vinci robot will be onsite so that you can see the latest in surgical technology. Take a few minutes to try your hands at moving the robotic arms. You will appreciate the fine touch required by physicians to do this delicate surgery. John Moeller, a former White House Chef for three presidents, will share what some of the presidents’ favorite foods were. The Home Depot will be demonstrating the ease of installing resilient vinyl plank flooring. You could have a new floor in time for holiday guests! The VF Outlet will be showing fashions at noon. They have sizes and styles for everyone! Stop by the Pamper U Zone and have a quick hair cut or manicure, courtesy of the American Beauty Academy. And yes, it’s free! Sponsors of the Lebanon County women’s expo include: The Pennsylvania Cyber Charter School, Tanger Outlets at Hershey, VF Outlet, abc27, NASH 106.7, NASH ICON 95.3, WDAC, WINK 104, and WJTL. And for those of you who live west of the Susquehanna River, there’s the fourth annual Cumberland County women’s expo, which will be held from 9 a.m. to 2 p.m. on Nov. 7 at the Carlisle Expo Center, 100 K St., Carlisle. Enjoy a fashion show highlighting both classic and trendy styles by Christopher & Banks | CJ Banks. They have something for everyone no matter what your stature. The Home Depot in Carlisle will show us how to make a wooden crate storage ottoman, a great DIH project and the perfect place to store all of that loose “stuff” around the house. A real sweet treat will be the demonstration by Pastry Chef Eric Bell, owner of the Carlisle Bakery. He decorated the cutest cake last year and I know he’ll be amazing again this year. If you’re one who likes to make your own homemade goodies, though, he’ll also be demonstrating decorating techniques that you can use at home. Now is a perfect time to start thinking about where you want to go on vacation next year. As a special attraction within the women’s expo, there will be a Travel Fair, sponsored by AAA Central Penn. Visit their Travel Fair area and get some great ideas and start planning your great getaway now!